America and China have agreed that the Korean peninsula must be denuclearized, said top diplomats from both nations, following meetings between the two in Beijing on Saturday. 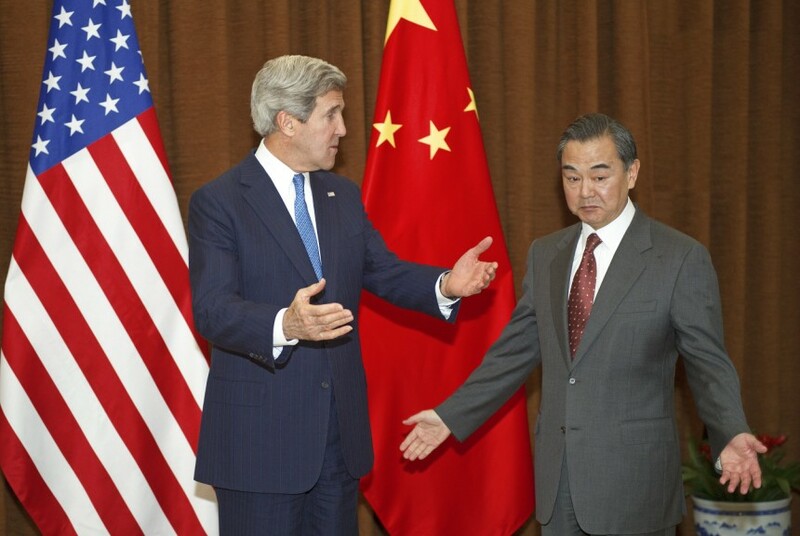 US Secretary of State John Kerry and Chinese top diplomat, State Councilor Yang Jiechi agreed that nuclear weapons must be removed from the Korean peninsula. This statement from the two nation’s foreign policy chiefs is quite significant, as it comes at a time when North Korea seems to be preparing a ballistic missile test that is a cause of serious concern for the US and its close allies South Korea and Japan. The declaration made jointly with China is crucial, as China is the only nation that has leverage with North Korea — due to its huge trade ties — and hence can exert major influence over the belligerent regime in Pyongyang. “We are able — the United States and China — to underscore our joint commitment to the denuclearization of the Korean peninsula in a peaceful manner,” said Kerry, speaking to the media in Beijing before having dinner with the top Chinese diplomat. This was Kerry’s first visit to Beijing, and it was conducted with a view to try and get China’s active support in negotiating with the reclusive nation in the Korean Peninsula and help in bringing peace and stability in the region. Both Kerry and Yang, sitting next to each other at a state guest house in western Beijing, declared they were seeking a peaceful resolution to the nuclear standoff with North Korea, with the rhetorics growing worse in recent times under Pyongyang’s 30-year old leader Kim Jong Un. The Chinese top diplomat, too, made his nation’s stance on the peninsula clear and consistent, repeating the phrase used by the Foreign Ministry since the crisis began. “China is firmly committed to upholding peace and stability and advancing the denuclearization process on the Korean peninsula,” Yang said, speaking through an interpreter. It may be noted that although their statements were made side-by-side, neither of the top diplomats specifically dealt with the immediate crisis — that of testing of the missile with a range of up to 2,500 miles by North Korea — which America believes could happen any day.